From Rabbi Aaron Rakeffet, respected Torah scholar, prolific author, and beloved teacher, comes a beautifully written and fascinating scholarly memoir. 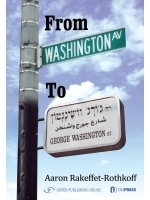 Beginning with his childhood on Washington Avenue in the Bronx, he writes candidly of growing up in a post-World War II world where Lithuanian Torah scholars were transplanted to the soil of twentieth-century America, of the ideological clashes between Hasidim, Mitnagdim, and the modern world, and of his personal encounters with dozens of well-known Jewish personalities – including his rebbe, Rabbi Joseph B. Soloveitchik. humor. With the cancellation of the security clause, he is able to narrate the fascinating inside story of the covert emissaries sent behind the Iron Curtain.